Rabbi Chaim Cohen of the Flatbush Gerrer Shtiebel, Rabbi Mordechai Twerski, parents of some of those children, and former at-risk teens themselves. They speak of how they felt at the time, and what they felt was missing from their lives at the time. Lots of the stock video footage they show is from the '80's, and quite cheesy, like something you'd show to a five year old, so I'm not sure what they're trying to dramatize here. There's also casual drug use, sirens flashing, speeding ambulances, fires, accidents and the like, presumably the outcome of such at-risk behavior. What I do find troubling is when showing the before and after pictures of some of the program graduates not much seems to change other than the fact that previously one guy wore a Mets cap and now he wears a black Yarmulke. Or that he now wears a white shirt as opposed to his "before" picture where he was wearing a sleevless "muscle shirt." That shows me that these people who run this very worthy program still have this idea that how you look is what's most important. The fact that you now wear a black Yarmulke as opposed to a baseball cap somehow shows that you've been transformed. Why am I not impressed. Obviously this is overall a very worthy and noble project, no less than serving non-religious Jews, and should be supported to the utmost degree. I guess פטור בלא כלום אי אפשר, so I need to criticize something. If the video won't work click on "Google Video" in the bottom right corner of the little screen, then click on "Go to Google Video." That'll take you to the page in Google Video. You can play it there too. They finally made me do it, they made me switch to the new Blogger, and I don't like it one bit. First they steal your profile and make you re-do it, which means you lose all the previous views it had. Then the Hebrew on the page shows up as chicken scratch, just look at the sidebar, it's awful! It's tough enough as it is, coming up with new material all the time, now I need to get used to this too. Oh well. If any of you have been reading the last two editions of Heichel HaBesh"t you may have been privileged to see a new phenomenon. 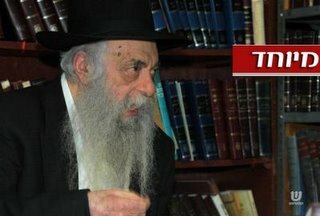 The Historian Reb Amrom Blau has been writing recently both in HH and in Shturem.Net about Toldos Yemei Chabad, and he's been encompassing it all, especially the hereto unknown. He's been writing about the 2 Rebbes of Kopust and also about the differences of opinion between them and Lubavitch after the passing of the Tzemach Tzedek. It's not very vivid in detail, but it does give the reader a taste. Many of the individuals he mentions when it comes to Colel Chabad at the turn of the 20th Century and other events were Kopuster Chassidim, and many of the commenters there do not like what they see. They see it as an affront to the all the Rabbeyim from the Rebbe MaHaRash and on. They've been commenting on Shturem and voicing their displeasure about Heichel HaBesht as well. I think they're insecure, and should learn to live with it. The Rebbe was the one to say that what happened 100 or so years ago between the Rabbeyim is no longer relevant. If there's Chassidus to be had from them, and if there's history to be learned then that's what we should do. The Frierdiger Rebbe mentions his uncles and cousins with the greatest Derech Eretz and respect, so why should we be any different? Besides, we need to beat those that'll use Kopust as another front in the fight against Lubavitch. If Lubavitch will embrace it then the haters will have nothing. It's times like these that we know that Chassidus was made for BaaleiBatim, and those that actually work for a living too. For the others it's too easy, they can just roll into Yeshivah or Kollel and automatically have an inspiring Yud Shvat or other Chassidishe Yom Tov. If you need to spend your day and evening at a desk in Manhattan, and with people who have no concept of the day's significance, then that's where the challenge lies. Not for nothing did the Rebbe Rashab say that "Er iz nisht zicher mit a Bocher biz er vert a Yungerman." Although the vort definitely refers to mostly more significant challenges, I would venture to say that it could be extended to be relevant at times like these as well. Ah Gut Yom Tov! 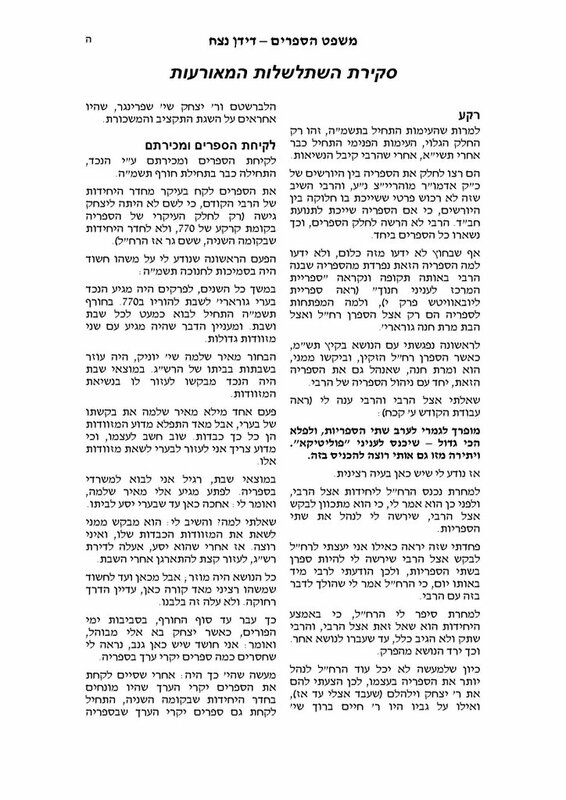 The interview in Kfar Chabad Magazine. The question is what will it accomplish? Is it too little too late? After all, what good will it accomplish if we continue to send our kids to the same Yeshivos and schools, daven in the same shuls, and live side by side? Then there are those that'll say that it's his fault since he was the leader in the years of '53 and '54, and that now he's trying to atone for his ways. Therefore, they say, there's no reason to take him seriously. Fools is what they are, and it's indifference like that that's killing us. He's recently been saying what many of us have wanted blasted from the rooftops for years. The problem is that much of what he's saying has been said before, although maybe not as publicly nor as loudly. We want both ourselves to know how to think, and the world to know what we think, at least on the Moshiach issue. But speeches like these will have little affect on the nutjobs who continue to destroy Lubavitch at least on that front. These people, lead by their respective "Mashpi'im," will not be deterred by 57 years of dedication and service by Reb Yoel, or anybody else for that matter. They will continue to destroy Lubavitch in the name of truth and Rebbe, and we'll all be made to suffer for it. Reb Yoel speaks of Achdus in action, but divisiveness in thought. Meaning, yes we need to have Achdus when it comes to living side by side, but we need to separate when it comes to Shitos. He doesn't advocate a rebuilding of the school system, at least in this article, so I'm not quite sure how that's going to happen. Where else would this education happen? And how will it happen if the message in school is the complete opposite? Unless he believes that whatever our kids learn in school has no bearing on them anyway, it's the parents or Shul Mashpia's responsibility. If that's the case why bother sending your kids to those schools? It remains to be seen if there'll be any reaction to this, or it'll just go by the wayside like all other Kinusim, Michtovim, and articles. The Agudath Israel of America has raised concerns with U.S. authorities about X-ray security machines. In a release Wednesday, the Orthodox organization said it was not satisfied with Department of Homeland Security assurances that “cloaking” software made the images less explicit. “For many passengers, however, the religiously observant among them, ‘less explicit’ may fall far short of an acceptable standard of modesty,” Agudah said. It said the department was demonstrating a willingness to cooperate, noting that the Transportation Security Administration several years ago agreed to provide separate rooms for searches involving the removal of wigs or hats out of respect for the modesty of religious travelers. I'm of the opinion that had David Yellin lived a bit longer, and been subject to reading more like Fishel Schneersohn's "Chassidishe Mayses", we may have seen an awakening on his part. Chassidishe Mayses have that affect, sometimes more so than any Chassidishe Sefer. Even a cold intellectual like himself may have seen the error of his ways and returned to G-d. But Alas, he died next year. In this letter - sent to me by A Simple Jew - dated Vov Adar Rishon 5700 Prof. David Yellin tells Dr. Fishel Schneersohn that he enjoyed his story "Chaim Gravitzer" that was printed in the Hatzofeh newspaper. It captured his heart while reading it on Leil Shabbos, and gave him a real "Oneg Shabbos." Yellin continues to say that he's a Misnaged, and has absolutely no "Netiyah" to Chassidus, and at first glance he opposed this book with my entire being since it spoke the praises of Chassidus and Chassidim. I said to myself "How much longer will our people admire Chassidus,?" and only within that opposition did I continue to read. Yet, the more I read it the more my heart was warmed by the story, and I could not wait for the next edition of the (weekly) paper to come out so that I can continue reading it. When it happened that the continuation was NOT printed in the paper I had great pain. Please continue with this noble work, he says. According to Wikipedia, and we have no reason to doubt this, Yellin was a Yerushalyimer Yingel who learned in the Misnagdic/Prushim Cheder Eitz Chaim. Later he "Freid out" and joined Eliezer Ben-Yehudah in his life's work of creating a modern Hebrew language for a modern Hebrew people. I guess one thing he learned in Yerushalayim that he kept was that a "Chossid hut men nit lieb." The letter is up for auction at Ebay. 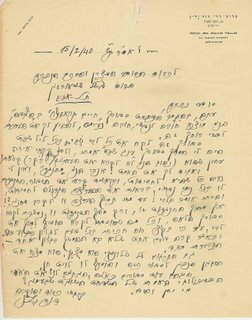 The son of Rav Shimon Schwab writes his memoirs from his days of arriving in Baltimore in 1936 and on. I have read only the first of twelve pages, so read at your own risk. Thanks to Chabakuk Elisha for the link. Somehow I believe the accusations will begin to fly that Lubavitch saw this happening yet didn't care. They should've dropped Moshe Katsav when the charges were first brought up, friendship be damned. It'll be made into more proof that Chabad has no morals, and only cares about money and power, right Harry? If, G-d forbid, he IS found guilty then Lubavitch should've known that years ago when he was a MP from Kiryat Malachi and never have spoken to the man. What all this DOES show all of us is that although he must've known this would get out eventually that still was not enough to stop him from proceeding with the alleged assault. It shows us all how vulnerable man is to momentary pleasure when the fallout is permanent. He will never have a political career again, and his name wil forever be mentioned in infamy. Who's missing from this book? ----- at least in some aspects. This has been going on for some time now, but I've only recently noticed it. As many of you many know part of the high cost of raising a Chassidishe family is the cost of hats for a young Bochur. If a Biber Hit is the norm then the dad muct dish out some three hundred dollars for his son's headgear at his Bar Mitzvah, because the kid needs a weekday and Shabbos hat. If you've got a few sons in a row that can be quite costly. The Belzer Rebbe thought out of the box and decided to take action. This is where we can actually see that all it takes is a little courage and incentive like money and changes CAN happen. The Belzer Rebbe decided that a 13-year old kid can dress just like his Zeide did in Poland and Galicia and wear a Kasket. These cute little hats are thought of as appropriate for little kids, till 9 or 10 years old, but the Belzer Rebbe saw it differently. He saw the burden of a father and decided that it's more important that the father not worry about paying for his 13-year old's wardrobe than the kid thinking he looks childish. I think he needs to be commended for that. Maybe it's just me, but in today's day and age of standards when it comes to outward appearance a decision like that can only have good repercussions. If others would see that spending money on things like 2 expensive hats for a thirteen year old is not what we need to burden fathers with then our society will only benefit. Especially since it's all about pressure anyway. Once we eliminate that pressure we'll all be happier. Is Baruch Chait creating Snag Kids? 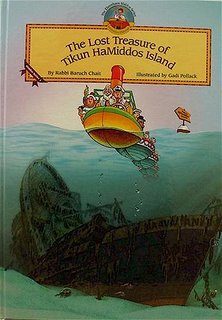 Ages 8-11 / With the SS Gaavatanic sunk at the bottom of the sea, the shipwrecked passengers must learn to work together to survive on a desert island. Under Rebbe Lev Tov's wise guidance, the lessons of good interpersonal relationships are taught and the "incredible voyage" continues with this exciting sequel. For children and adults alike, this book will open the reader's eyes to the beauty of good middos, and provides the key to acquiring them. 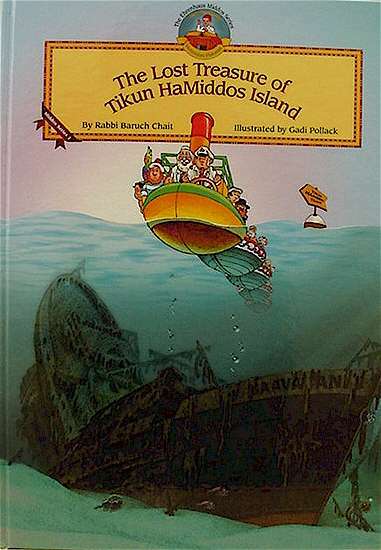 Does anybody else here have kids who convinced you to shell out big bucks to buy the "Tikkun HaMiddos Island" books by Baruch Chait? Do you too feel that the kids focus only on the negative character traits of these figures? All I've seen are his 39 Melochos books in Yiddish, and I did grow up listening to Baruch Chait on Kol Salonika, but I need to hear more about it. Tell me your experience here, and tell me if you agree with these charges. I'm just surprised that none of the Haskomoh givers realized it if this is indeed the case. There's been some talk on the internet about an article that was featured on YNet, The Yediot Acharonot website, about the price of marrying off a Frum girl in Israel. Apartments need to be bought, and bank accounts full of cash needs to be opened, all so that this Tchachkele can klap di Baychel that he sits and learns, and the Vaybel can tell her friends that her husband is an "Avrech." All that needs to be said about the poor fathers of those girls has already been said. Brooklyn Wolf had some words about it here. Forgive me if I end up sounding like Harry Maryles here, that's honestly not my intention. What I'd like to focus on is the Torah aspect of it, meaning how the idea of continuing full-time learning goes hand in hand with needing a paid-up apartment with no mortgage on it, and a bank account with One Hundred Thousand Dollars in it. It used to be, in Di Alte Heim in Lita, when The Talmud Teyreh in Kelm was founded for married students, that the family had a home or lived in a small shack at the edge of town. Some of them WERE married to the daughters of affluent men and could afford to live like that. Those that didn't lived BeDochek and made due with almost nothing. 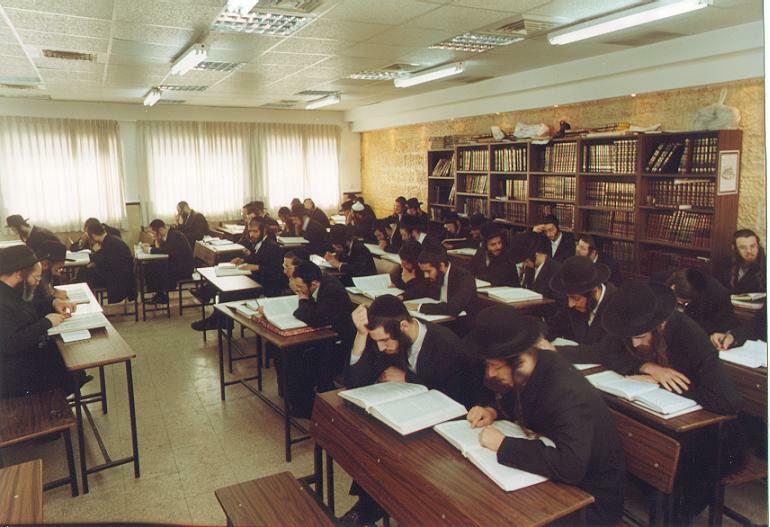 They were Maymis Atzmom just to be able to learn Torah. The results were clear, we saw great men emerge from those situations, men of great diligence and knowlege. We also fail to realize that these were a handful of people, and it was something that was done, at least the organized Kolel, only in one or two small towns, not like today. Yet, the same people who are supposedly carrying on the traditions of Reb Yisroel Salanter and his disciples are the ones who instituted this mass system of all married men not working, and Shlepper fathers of these girls needing to somehow marry off his children! Who allowed for this to happen?! I have people knocking on my door, Jews from Eretz Yisroel, who are stuck in this rut that was created there. One guy has been coming once a year with the following story: "Ich Hob - Ohn ayin Horah - Fertzen kinder, un ich hub shoyn Chasunah gemacht acht fun zei. Ich hub zei alle gekoyft direhs, un Itzter halt ich bay dem Naynter kind. Efsher kent ihr mir helfen mit a sheine nesineh?" So I, the zhlob who still hasn't bought an apartment for HIMSELF should help this guy who never worked a day in his life buy 14 apartments for his kids?! Does that make sense to anybody. But of course the softie in me takes over and the guy gets a check anyway. Then there are the other ones that come every single year just to cover their daily expenses. They have yet to marry off kids and will be here twice a year once that wheel begins to turn. Is this why we tell people not to go to work, so that they should become perpetual schnorrers? The worst part of all this is the ones that suffer are those that did have that Mesiras Nefesh for Torah, and didn't have that rich Shver to support them throughout all those years of learning. They're stuck with the house full of old maids who are less desirable by the day. I'm surprised these people don't start a mass exodus from the Yeshivishe movement, I guess it's tought to get up and start over again and that age. But again, what's the point of such so-called תורתו אומנתו if it destroys any semblance of a normal life and leaves no room for actual learning since your mind is exploding with worry over creditors and Mechtonim! This situation is not limited to Israel as we know, but at least in the US working for a living is not frowned upon, so the man has a fighting chance to actually make a living. I wonder though what would happen if there wasn't mandatory military service in Israel for all men. Would we still have that many learners? i doubt it. Please don't call me a guy "who hates Torah and Talmidei Chachomim," it's simply not true. 1) What is a Chabad Cookbook? Is it that the cook learns Chassidus while cooking? As opposed to a Chagas Cookbook? Do tell. 2) Why is the fact that this is an alternative to Spice and Spirit the greatest thing? Are we to drop S&S now? 3) What's wrong with traditional cooking that we need to make Kung Fu chicken now? Traditional foods have been sanctioned by generations of Jewish women who prepared them, are we to discard all that for Indian food? I say stick with the chicken soup and Gehakte Leyber. I wanted to let the blogging community know about a fantastic new Chabad cookbook that was just published. 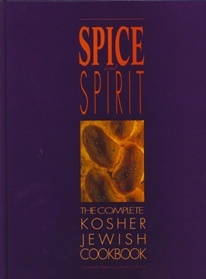 The greatest thing about it is that it provides an alternative to the Spice and Spirit, since we all know that is the main cookbook we all use. The recipes came from a great cross-section of people, including many non-Jews. 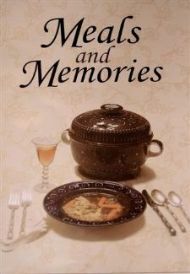 For once, here is a Chabad cookbook that has recipes other than traditionally Jewish foods. It is definitely worth checking out (Link Here)! When will they learn az m'ken haynt nit azay reyden? It's all about Wal-Mart in Monsey wanting to open a Supercenter and the opposition by local business owners, many of whom are Hasidic Jews. This article, published in last weekend's Financial Times and FT.com is read by (presumably) millions of non-Jews around the world. There's always another side to each story, and always a counterpoint to be made. I refer you to the post entitled "All Yidden are Shayech to Nesi Doreynu." The point there is not to say that all Yidden are to become "Lubavitchers" nor that they drop all their Minhogim. The point the Rebbe makes is that The Tzaddik supplies you with your Chayus and you there are connected to him, whether you know it or not. Therefore it would be beneficial to you to follow in his footsteps and Chazzer the Maamer at the wedding just like he did. My guess would be that the same goes for other Minhogim as well, and I may be contradicting myself within 5 lines here, but the Rebbe says it only concerning the wedding Maamer. My buddy Chabakuk Elisha thinks that all Tzaddikim join in this monumental task of supplying Chayus to Yidden, not just The Nesi'ei Chabad, and he goes even further. He doesn't buy into the notion that all Yidden should learn Chassidus Chabad and follow the Chabad Nesi'im, on the contrary. He thinks that most of those who consider themselves Lubavitchers, whether Baalei Tshuvah or Frum from birth, whether they themselves joined Chabad or whether they can trace their lineage back to the Alter Rebbe should leave Chabad and join other groups. They only cause pain and embarrassment. Only those who are an asset to Chabad and The Rebbe, whether by being a living example or by teaching others, should be allowed to stay. Maybe he's got a point. Maybe he feels that there has been too much emphasis one way and now we need to pull back a bit. Stop focusing on "Kiruv" and Hafotzoh and go "back to the basics." Make Lubavitch like it used to be. That would be nice, and the Rebbe surely would enjoy that aspect, the return to roots part of it. But then again; nothing would LOOK better for Chabad than to have it produce all Tchachkes and Tachshitim, all fine young Chasidishe Yungeleit. I say LOOK because that's all it would be, LOOK better. There's no reason why anybody needs to be influenced by any amount of "Kiruv" he or she does. If a businessman who deals with Goyim all his life can keep his outward appearance, although his inside is still suspect, then a "Kiruv" worker definitely should have no problem. Especially since the "Rebbe git Kayches." Google's tribute to MLK Jr.
Google has these cute images on Holidays embedded in their logo, usually near or around the two O's in Google. Today, in honor of MLK Jr. They have this: Four African-American girls playing double-dutch, or are they 2 black, a white, and an Asian? I can't really tell. Way to go Google! I guess it was worth shutting down the Federal Government for that reason. Thank You Ronald Reagan. I imagine there were some uncomfortable moments at the wedding. One of the pet peeves of the non-Lubavitcher community is that Lubavitchers somehow feel that there are 2 groups of Yidden: Lubavitchers, and those who are "not yet Lubavitchers." This sense of entitlement or prestige (maybe there's a better term for it) ticks off most "Fremde" because it tells them that their heritage is looked down upon and that Lubavitchers think they should change it. Obviously that's an exxaggeration, nobody expects all Yidden to begin learning Chassidus, although that may be the ultimate goal. Yet here's something that may get your goat a just a bit. There may be some truth to that notion after all. 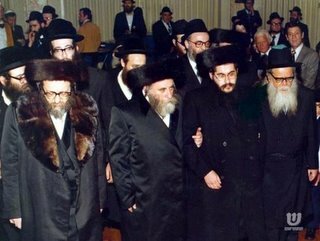 A blogger friend of mine showed me that in the Farbrengen of Shavuos 5713 the Rebbe spoke about the idea that the Choson should Chazzer a Maamar Chassidus at his Kabolas Ponim just like the FR did at the Rebbe's wedding, and since we follow in his ways we too should Chazzer a Maamer. He mentioned the fact that the Maamar that the previous Rebbe said at the Rebbe's Chasuna - beginnning with Lecho Dodi - is an appropriate choice since it mentions all the names of the Rabbeyim and it was said as an "invitation" to the Neshomos of the Rabbeyim. (Since Tzaddikim place themselves into their Torah, reciting their Torah works as an invitation to the authors of that Torah.) Although there may be others that fit that criteria what better choice is there than to say the same Maamar that the Frierdige Rebbe said. The Rebbe went on to say that this applies to all weddings, that all weddings "Zol men Chazzeren di Maamer Lecho Dodi" not just to those of Lubavitcher Talmidim, since it's an inyan that concerns all Jews. The Rebbe went on to say that if there are "Oylimishe Yidden" here he hopes that they won't be Makpid on what he's about to say, but even if they will he still needs to say it "like it is." כל בני ישראל, יהיו מי שיהיו, המשכת חיותם היא ע"י הנשיאים,כמבואר בתניא ש"יניקת וחיות נפש רוח ונשמה של עמי הארץ הוא מנפש רוח ונשמה של הצדיקים והחכמים ראשי בני ישראל שבדורם", כשם ש"יניקת הצפרנים וחיותם נמשכת מהמוח שבראש", ועד שאפילו אלה שמנגדים כו', מקבלים גם הם חיותם ע"י הנשיאים. – האמת היא שגם אלה שמנגדים כו', הנה התנגדותם גופא מוכיחה שבאמת אוחזים הם מהרביים, כי, אילו לא היו אוחזים מהם, לא היו מנגדים אליהם, אלא כיון שגם הם אוחזים מהרביים, וחוששים שמא יתקרבו על ידם לתורה ולחסידות כו' – ודבר זה הוא בניגוד לרצונם – לכן הם מנגדים כו', אבל בפנימיות לבבם אוחזים גם הם מהרביים. ובפרט ע"פ הידוע שאדמו"ר הזקן רצה שתורת החסידות תהי' שייכת לא רק לאיזה מפלגה כו', אלא לכלל ישראל,– פעם הציע לי מישהו להוציא לאור ענין חדש שיהי' מתאים עבור כל בני ישראל. ועניתי לו – בפשיטות – שתורת החסידות היא עבור כל בני ישראל –וכיון שבודאי יתמלא רצונו ("ער וועט דאָך געוויס אויספירן") שסו"ס יהיו כל בני ישראל חסידים, שהרי "רצון יראיו יעשה" – הרי כל האמור לעיל שייך לכל בני ישראל. All Yidden get their Chayus through the leaders of the generation, just as the fingernails get their Chayus from the Moach. Even those that may oppose him, and they oppose him only because their afraid of being drawn to Toras HaChassidus which they don't want to happen, they too "hold" of the Rabbeyim, and they too get their Chayus from the Nosi HaDor. Therefore, and since the Alter Rebbe wanted Chassidus not for a single "party" but for Klal Yisroel, then the recitation of the Maamer is something that concerns all Jews. This was discussed at a recent wedding where the father was a Lubavitcher Chossid and the Chosson was not (yet.) A Mashpiah at the wedding went on to recite the Maamer, when in attendance were some "Choshuve" Yidden who are not knows for their love to Lubavitch. When he was asked why pointed to this Sichah, saying that the Maamer is Shayech to all Jews. I was away Thursday night till today. A nice 3 day disconnect. Shluchim are amazing people, they're regular miracle-workers. We'll get this thing going again shortly, Iy"h. I need to catch up and respond to some comments posted here. With great sorrow we report the passing of Mrs. Maryasha Garelik-Shagalov, a"h of Crown Heights, wife of Reb Elchanan, הי"ד, who was killed at a young age in Soviet Russia. Mrs. Maryasha lived to the ripe old age of 106. She was dedicated to 'Oholei Torah' for which she collected money devotedly on a voluntary basis. She would stand for hours on Sundays to raise money for this purpose, collecting from the people who stood on line for dollars from the Rebbe. Rebbetzin Maryasha, part of the scene of 770, was survived by a blessed family and several generations of descendents, many of whom serve as shluchim around the globe. 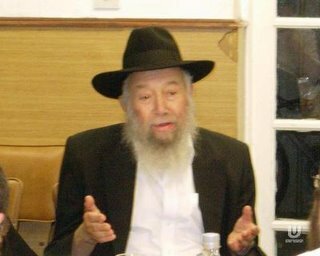 Londoner Yiddentum, and the Jewish community the world over lost one of its true treasures last week with the passing of Mr. Nosson Vogel. Hundreds, and perhaps thousands of people packed the funeral chapel and surrounding areas to hear Hespedim by HaRav Yitzchok Meir Hertz, Rov and Rosh Yeshivah of Lubavitch in Golders Green and Hampstead Garden Suburb, and Rav Chaim Halperin, son of Harav Chune Halperin Rov of Golders Green, and one of the Rabbonim in Golders Green. I apologize if the above lines sound like they were lifted from the HaModia or Yated, that wasn't my intention. I don't plan on doing a carbon-copy obituary, but rather a recounting of how I knew him and was influenced by him. My connection to Reb Nosson began when he was still in good health years ago in London. The warmth he radiated to a total stranger is not something most people do to their own children, let alone otheers. It was the first night of Selichos and Reb Nosson davened for the Amud as he usually would, and like everyhing he did there was a lesson to be learned from the way he davened. Rarely do you see a Yid, not a Rov or Klei Kodesh, but a BaaleBos, daven with such awe, and with such a broken heart, like a child speaks to his father. At times when Simchah was needed the joy on Reb Nosson's face could light up a room. What that taught me was that everything he did was for real, the Ahavas Yisroel was real, the Tzedokoh was real, and the connection to G-d was real. Reb Nosson was a Yekkishe Yid, born and raised in Germany, and remained that way his whole life. He retained the qualities of being precise, accurate, and fastidious about everything Jewish and Mentshlich, but added the qualities of Hiskashrus to the Rebbe, and the Chassidisher Ahavas Yisroel. He was a tremendous Baal Tzedokoh who gave because he felt the pain of the Yid or the Askon who came to him, and wished to alleviate it. He lead a Torah'dige life in Business too, teaching the unaffiliated Jews who worked at his office about the heritage they lost. His connection to the Rebbe was unwavering, even in a sometimes hostile environment like London, and he wore it proudly. 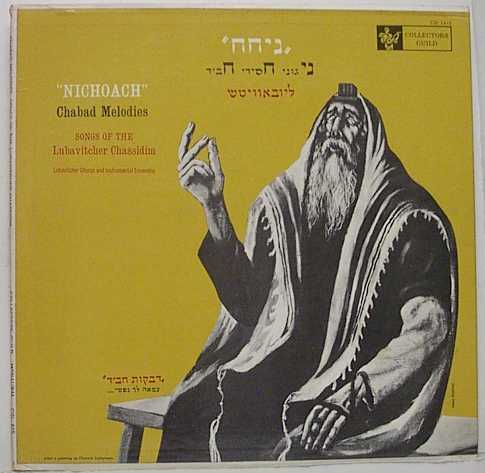 There's much more to be said, especially as far as his connection to Lubavitch, the Rebbe, and the Rebbe's Mosdos, but we'll leave that for another time. Maybe you Londoners could give me a hand too. During a late supper this week last week's weekend English HaModia caught my attention. They were still discussing the proposed ban on El Al and a meeting of the American MGH of the AI that was to decide on joining their Israeli counterparts in signing the ban. 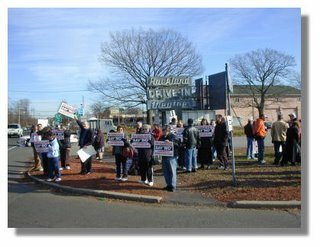 Now before you jump all over me for going after the Gedolim I would ask you to hear me out, and see that this is not just another Agudah-bashing session, but an objective look at the issue of who's running American Yiddishkeit these days. I also don't plan on bringing Lubavitch into this discussion, believe it or not, since it's totally irrelevant to what we're about to discuss. Amongst the Choshu've Askonim of course. 1) Is Torah Jewry completely made up of Yeshivishe and "Litvish/Modern" Jews? Are these the only Jews that need to be represented? Is no Chassidishe Rov suitable to sit on that esteemed dais? Sorry people, the Mattersdorfer Rov doesn't count as Chassidish, and he represents almost nobody these days. In Eretz Yisroel Ger plays a vital if not overbearing role in all things Agudah, why not in the USA? I know that all Hungarian Rabbonim are closely tied with Satmar and won't risk joining, but what about non-Hungarians like Bobov, Vizhnitz (Bnei Brak) and others, why aren't they asked to join? 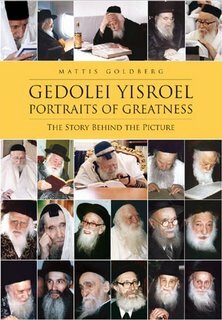 And where are the real Litvishe Gedolim, why aren't they on the council of sages, I mean Yidden like Reb Shmuel Berenbaum, of course, Yidden that saw and shepped from the pre-war greats. 2) Are we to really believe that American Yankees like Levin, Schechter, and Kamenecki, Talmidei Chachomim that they may be, understand enough about Israeli politics to issue a ban against traveling on an airline? I'd be shocked if any of them spoke more than a Bais Yaakov Hebrew, and could understand the intricate details involved in dealing with politicians, especially Israeli ones. Why then would they Bichlal touch the issue, just to show the world? Oh, what I'd give to be a fly on the wall at one of these meetings, it would be a sight to behold. You'd figure that the Einei Ho'eidoh in America would have a litte self-respect, but I guess not. I did a lot of soul searching over Shabbos regarding the parents of Ashley X and what they did to her. I spoke to the father of a child with physical disabilities and he did enlighten me much as to how difficult it is to raise such a child. He of course saw it from his perspective, that of a loving, devoted father full of Bitochon in Hashem. If I was convinced that Ashley's parents were of that persuasion then I'd tend to trust their decision. From statements like "we're college-educated professionals" I feel like they're implying that their decision should not be questioned based on the fact that they're a couple of smart people, the fact that their degrees may be in law or accounting notwithstanding. They forget however that this is not a question of intelligence or lack thereof, but a question of moral right and wrong. My friend tells me that a hysterectomy he can understand, after all, why should a helpless child have to go through the pains of adulthood. I'm not sure that the Torah allows it, even if it seems to be the "compassionate" thing to do, so I can only say that according to my Daas Baalei Batim maybe that procedure would be acceptable. But that was only a small part of what they did to the child. They basically pumped her up with hormones, and will continue to do so for a long time (again, with little medical knowledge I do not know for how long) just so she'll be less of a burden. I cannot imagine that having anything less than a negative affect on her, and will possibly shorten her life as well. He also tried to compare stunting growth to trying to "stretch" a very short child by percribing human growth hormones, but it's fair to say that corrective or "positive" surgery cannot be compared to stunting growth. I may have been wrong about the parents only looking to improve their lifestyle, and not concerned for the most part about the child. After all, most parents would do anything for a child even if it meant some inconvenience on their part. But for some reason I cannot get out of my mind the idea that they're looking out for themselves here, and in the best case were hoping for minimal damage on Ashley's part. 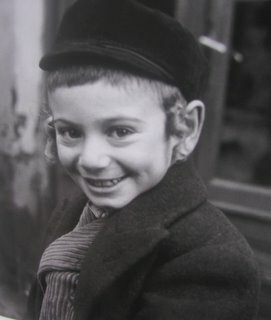 Who am I compare them to is the following: When I was a child there was a Yid in our building, A B'non shel K'deyshim who had a child with MS r"l. This child was actually around 18-20 when I knew him, and he went to a state-run school for such children (UCP). They lived on the 3rd floor, and when the bus would drop him off after 4pm I would see this Yid, in his 50's with a weak heart, go down the stairs, lift his son out of the wheelchair, sling him over his shoulders (he was quite heavy) and shlep him up 3 flights of stairs to his apartment. This boy, needless to say, was not very helpful when he was being lifted up, and it was quite a shlep up the stairs. Maybe it's the notion that life should be difficult that dictates my thoughts on the matter, or that the human body is not to be "toyed" with like that. I can't quite put my finger on it. But something Shmekt mir nit over here, and no matter how hard I try I cannot justify the total procedure done to this poor girl. Un Tommer vet ihr fregen Vos badert mir Azey vos pasirt mit a nit-Yidisher maidel? 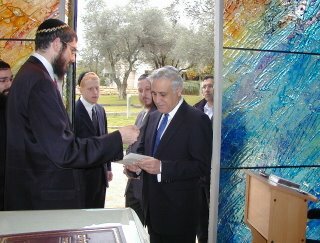 Keydem Kol efsher iz zi yeh a Yidisher, un afiloo Eyb nit iz zi doch a hilfloze kind, un m'darf af ihr Rachmones Hobben! Environment) wants to change that. 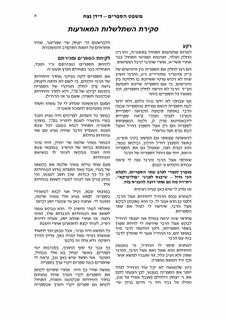 Not only desecration of Shabbat by El Al or the sale of immodest clothing in Bnei Brak and Jerusalem will be at the forefront of haredi interests if Haredim Le'sviva has its way, but also educating against littering and encouraging recycling. pollution and the adverse effects of cellular phone antennas.Environment Minister Gideon Ezra will also attend the conference. McCann Erickson, an ad agency with a haredi department, will be sponsoring the gathering. not to destroy the world," said Briland. Briland and Ganut say that haredim realize the importance of protecting the environment, but they have yet to be mobilized. same amount said they wanted to live in a green setting. would raise the price by half a shekel. getting their money back." Haredim Le'sviva recommended allowing non-profit organizations to collect the bottles, thus encouraging citizens to recycle them. Briland said that in Bnei Brak last year, four million bottles were returned for refunds. This is a wonderful explanation of the possuk, of why the chumosh doesn't say vayomos, as it does about every other death, except that of Dovid Hamelech. The Ramban says something similar, as do many other meforshim on the chumosh. But they do not have the burden of explaining the gemoro. They can explain the chumosh any way they like, but it's almost impossible to read the gemoro in a way consistent with these explanations. The gemoro remarks that Yaakeiv Ovinu Lei Meis, and asks why, in that case, he was embalmed, mourned, and buried. Now it could have answered that even though his essence didn't die in the way that almost everybody else does, his body was still lifeless, and needed to be dealt with. RAYK's observation, that only the Egyptians mourned him, explains one of the gemoro's three questions, but doesn't address the other two. It was Yeiseif who ordered him embalmed, and it was his sons who buried him; and the gemoro assumes that if he were not dead then these things would not have been necessary. And it does not offer any explanation. Instead it insists that we must accept that it was so, despite the difficulty, because it's a drosho on a posuk in Yirmiyohu. Now, the rationalists will of course explain that what the gemoro's saying is "it's only a medrosh, it's not real - In reality, Yaakeiv was as dead as a doornail, and was embalmed, mourned, and buried just like any other stiff; the absence of the word vayomos is to let us make nice droshos and learn all sorts of moral lessons, but we all know that it wasn't actually so." And they will laugh at all the credulous right-wingers who drink the Artscroll kool aid and take medroshim literally. But Rashi will have none of that. Veho dechontu chontayo, sevurim hoyu shemeis. And he repeats himself a few lines later: Udechontu chontayo, nidmeh lohem shemeis, avol chai hoyo. Had they known the truth that Yaakeiv had not died, they would not have embalmed him. Nor, we may infer, would they have mourned or buried him. Clearly Rashi understands Yaakeiv Ovinu lei meis in a way that is inconsistent with embalming, mourning, and burial, and therefore cannot accept any of these nice explanations about his soul not tasting the level of death called misoh, or about his body never having been essential to who he was, etc. Of course we're not obligated to accept Rashi's explanation; we are free to offer other explanations, both of the posuk and of the gemoro. And with what we now know about Egyptian embalming technology (which Rashi had no way of knowing), it seems obvious that even if Yaakeiv was alive when the embalmers started working on him, he cannot possibly have been so when they were finished. So we may respectfully disagree with this Rashi; but what we cannot do is ignore it and pretend it doesn't exist. Rashi remains our rebbe for pshat in gemoro, and this is what he says the gemoro means. And yet there is so much hostility to this view, especially in the last 12 years. 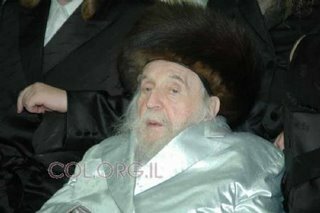 Oldest of the Sanzer Rov's great grandchildren passed away at 98. He was the son of Reb Sinai of Zhmigrod, the son of Reb Boruch Of Gorlitz, son of the Sanzer Rov, the Divrei Chaim zt"l.
When a person dies, two things occur. First, the bodily functions (breathing, pumping of the heart, and so on) cease. This is called Geviyah (expiring). The second aspect of death concerns the soul. After the sin of Adam, the first man, death was decreed in order to allow the soul to purify itself from its contact with the body's physical drives and desires. Death purges the soul of those sensual influences that distance one from true closeness to God. The aspect of death that cleanses the soul is called מיתה. In certain respects, Jacob did in fact die. But this was only in personal matters, due to the baseness of the physical world and its negative influence upon the human soul. Yet, that was not the true essence of Jacob's soul. When the Torah describes Jacob's passing, it does so in terms of his life's goal, as the father of the Jewish people. The Torah does not use the word 'death,' since these was no need to purge his soul of its ties to its worldly occupations. This explains why we don't find in the Torah that Jacob's sons eulogized their father. Only the Egyptians did so — "A profound mourning for Egypt" [Gen. 50:11]. Jacob had assisted the Egyptians by bringing the years of famine to an early end. From the standpoint of the Egyptians, Jacob had died, and the connection of his soul to these matters was severed. Therefore, the Egyptians had reason to mourn. But Jacob's sons, who knew that Jacob was still alive with them, had no need to eulogize their father. Click on the link for the complete text. One of the local circulars, the Luach HaTzibur, which advertises such important things like where Yankel Bergstein is making a Kiddush this week, and the Great G&G Clothing sale, has begun to advertise a new Mitzvah, Mitzvos Hatluyos Bo'Oretz. 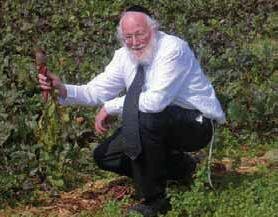 They sell you a small (miniscule) plot of land and take care of all the Mitzvos that are required of you, some 20 in all. It also carries the standard "BeHaskomas Gedolei Yisroel Shlit"a" that everything else has these days. A smart man upon seeing this ad commented: it's like that ad you hear on the radio saying: "for 54 dollars and a call to ------- you can have a star named after you." Would this fall into the same category? maybe. Now I see in the Five Towns Jewish Times that there's a name attached to it, a Rabbi Yaakov Stefansky, I believe he's formerly of Dagim Tuna? "Jewish people all over the world will now be able to fulfill all of the precious Mitzvos ha’teluyos ba’Aretz - laws dependent on the Land of Israel. ............................ This is not a new idea. Its roots date back to the 18th century, when the disciples of the Vilna Gaon who settled in Tsfat founded an enterprise which would enable Jews of the Diaspora to fulfill these mitzvos. They were guided by Rav Chaim of Volozhin. 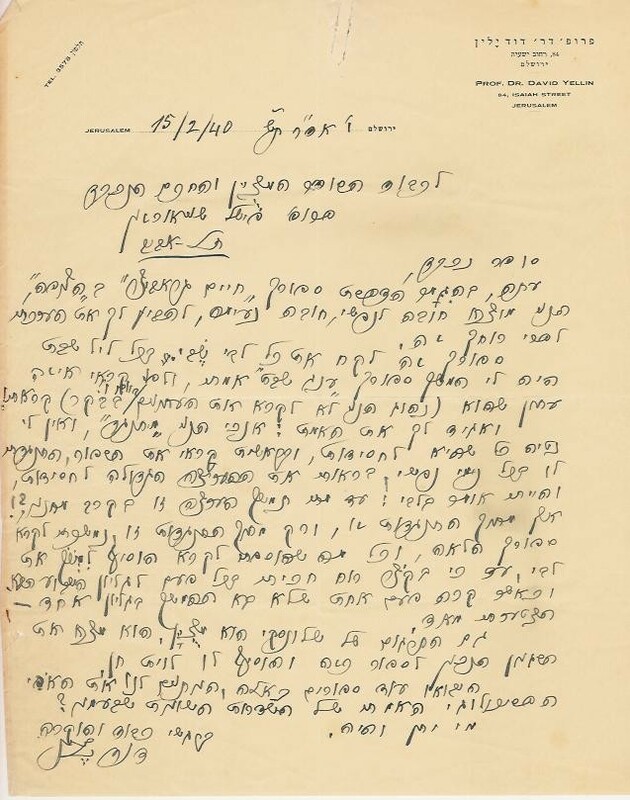 (A letter which appeared in Pe’as HaShulchan of Rav Yisrael of Shklov testifies to this endeavor.) However, various difficulties prevented the plan from materializing, and technical and administrative problems prevented its realization. It used to be that people, especially Acheynu Yatzay Litteh, either worked or learned, they didn't sit around and look for a Chap, a Drei, how to help a Yid find a Mitzvah. I can understand starting organizations that fulfill a need, even a G'mach for Untervesh, but this seems a bit much. Then again, maybe it's the fact that I'm not part of mainstream Judaism anymore that makes me think this way. I should begin to read the Yated every week, maybe that'll help change me for the better. You be the judge. 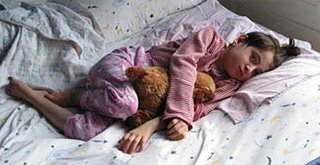 You may have read about nine-year old Ashley X, whose parents "froze her in time" at age 6 three years ago, and now have their blog where they discuss their decision. They took this poor invalid girl apart like some broken down car that you sell for spare parts, all so she shouldn't be a burden later in life. They sat and devised this plan with doctors, and had the hospital board vote whether or not to do this procedure. They kept it all a big secret until now, when they began to blog about it. Here's what they did: From the British Guardian: "Ashley Treatment" - a course of surgery and hormone supplements devised for her at her parents' request and with the blessing of doctors - that will for ever keep her small. It involves surgical operations, including a hysterectomy, and hormone prescriptions that will, in effect, freeze-frame her body at its current size." For good measure they added the fact that they were concerned that men would take advantage of her later in life if she would grow to be full size to the reason that they decided to go ahead with this. How noble of them. These two professionals are seemingly too busy with their respective careers to be bothered with a child, which I can understand, but why bother at all? M'Zol nit visen fun azelche Tzores, but this seems too much for me to understand, although I have b"h no idea what it's like to deal with a child like this. Is the need to have a child so great? This child has been this way since birth, and if she's such a burden why not give her to a family where she can at least be loved for who she is, and not just for how easy she is to care for. I cannot believe that parents who love a child so much that they can't bear to part with her and give her away to be cared for, can do this to a child. It must be somewhat painful for the child too although she has no way of expressing herself. If I needed to guess, and based on an admittedly stereotypical assumption about them, I would say that these two are G-dless people. By that I mean that they have no religious sense of what's right and wrong, and decide fore themselves based solely on what popular opinion is, or even if it's not populr yet. They see this world not as a place that serves their wants and needs, not as a place to accomplish a mission. Whatever it takes for the woman to achieve that "supermom" image, even if it means to have a perpetual baby girl. That's not to say that the dad is not to blame for this too. The fact that this child is now referred to as a "pillow angel" leads me to believe that thay have a very warped sense of priorities.I've used common sense only in discussing this, no Torah authorities were consulted. I doubt there would be a universal Halachic answer to it anyway. Hashem Yishmoreinu, af alle Son'im gezogt. Gil Student in Hihurim writes that he's surprised that The Frankel Rambam people won't admit that they practice PCism when bringing sources. He brings a list of many "religious Zionists" like Reb Mendel Kasher, Rav Kook, Rav Teichtel and others who wrote extensively on the Rambam yet failed to make it. One of the "victims" of this practice is of course, The Rebbe.. Why am I not surprised? A commenter there writes that he once met Reb Shabse in a Shtibel in Yerushalayim and asked him why he doesn't bring Rav Kook. Frenkel's answer was I do what's right for the business of selling Seforim, if I put in a source that's somewhat controversial to some learners they won't buy my sefer. "Rav Kook doesn't need my "Haskomoh!" Meaning that his greatness is not determined by whether or not he quotes him. I AM surprised, however, even though I could maybe understand his decision, because of the relationship that Shabse Frenkel had with the Rebbe. Many, many letters and private audiences with the Rebbe had Shabse. So, it's tough to do that to a person ou know and respect. I would imagine that the Rebbe told him not to quote him if it would hurt his Parnossoh. This is the world we live in, the Almoh DeShikrah. After the events of The summer of 5743, when the attempt on Reb Mendel Vechter's life failed but left him a broken man, Satmar was terribly embarrassed. Although they openly defended what they did, saying that he's at fault for "Chappen Kinder," and many agreed with them, still most people were of the opinion that they went too far. One of the ways to "get back" at Chabad and the Rebbe was to embarrass them too. The idea was hatched by certain elements in Satmar, namely Fogel/Cohen, and the conduit to this great plan would be the Eynikel. It may not have been the Eynikel himself but rather the Eynikel's wife, "Reb Mina." They came to him and her and told them that they'd been robbed of their rightful inheritance by their uncle, and it was time to get it back. Of course it didn't happen overnight, and it needed some nudging and prodding, but the plan worked. They convinced the Eynikel to take what was "rightfully his," and to go to court if he's stopped. The rest is history. Is it that far fetched that haters, real haters, not some two-timing amateur snag, would sit and hatch plans to bring down who they preceive to be their biggest enemy? Is it a stretch to think that people who are Shayech to murder would pull a shtick like that? I don't think so. The idea actually came from one of Cohen's victims, a Yungerman with not an ounce of hate in his heart for any Jew, besides for Cohen that is. What do you think? Reb Mendel of Seret flanked to our right by his son Reb Moshe Yosef of Cimpulung and to our left by his son in law Reb Sholom Lamm of Secureni. 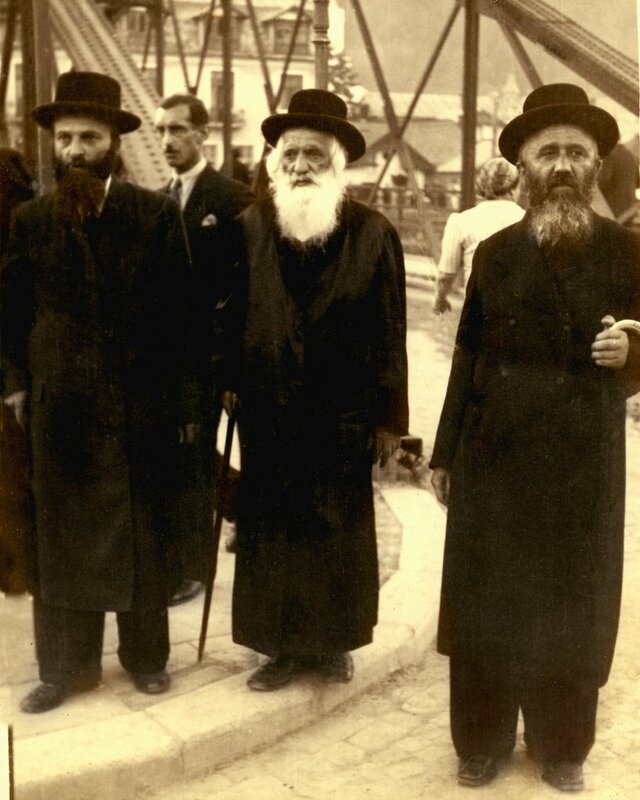 One of the most prominent Rebbes pre WWI Bukovina was R’ Shmuel Schmelke Rubin of Seret (1840-1901), founder of the original Seret Chassidic dynasty and son in law of R’ Yosef Alter Hager of Radovitz (son of R’ Chaim of Kosov). R’ Schmelke was the eldest grandson of the Sar Sholom of Belz and was raised in the house of his Zeide. From his father’s side he was ben achar ben of R’ Usher of Ropschitz. R’ Schmelke’s younger brother is bakant in Belz as R’ Meliech Yabrover. 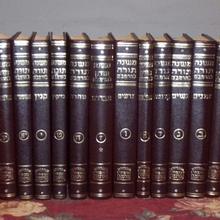 As an Eidim by Kosov, R’ Schmelke adopted many of the Minhogei Kosov and davened in the special Kosover Nusach. 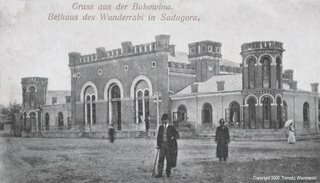 R’ Schmelke’s influence was profound throughout Bukovina, his Chassidim established many “kloyzen” in cities such as Radovitz (Radauti), Shotz (Suceava) and Gura Homorului. Stories of his mofsim were widespread and it was said that his maternal Zeide the Sar tought him Chochmas HaRefuah. R’ Schmelke passed away in 1901 and is buried in the Sereter Beis Olam where until today the original stands untouched. 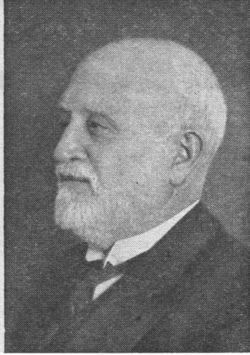 R’ Schmelke’s son R’ Mendele Rubin (1871-1941) succeeded him as Rebbe in Seret. His Rebisteve was considerably smaller than his father’s as he was very young when he took over, but he nonetheless maintained a respectable hoif in Seret. Then came WWI, All the Jews of Seret left, and when those who returned found a town utterly destroyed by the war. R’ Mendele was among the returnees and in time rebuilt his hoif. 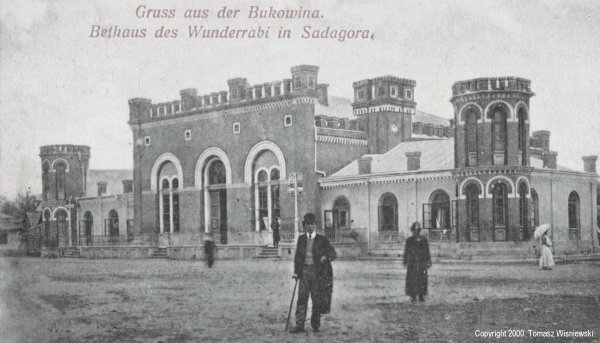 But as you mentioned on your site, Bukovina was a very different place post WWI and the new generation was far less Chassidic than their father’s had been. While some of Buklvina’s more prominent Rebbes dealt with this by leaving Bukovina, R’ Mendel of Seret stayed put. 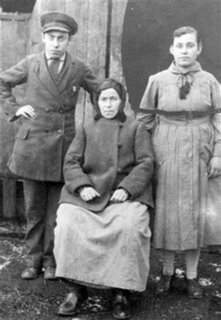 His children however were very aware of the changes around them, but rather than leave Bukovina most of them stayed and tried to strengthen Yidishkeit from within. R’ Avrohom Usher Rubin, Rav of Kotzman in Bukovina. 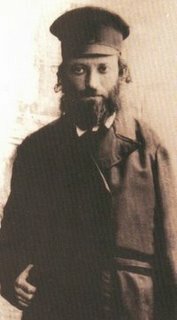 R’ Sholom Lamm, Rav of Secureni in Bessarabia. The above-mentioned Rabbonim did much in their respective communities (which rank among the largest in the region) and it was thanks to them that Yiddishkeit did maintain at least some standard in these Kehilos. In 1936, Reb Mendel’s cousin R’ Bourch, son of the Ahavas Yisroel was elected Rav of Seret. He was extremely popular among the town’s inhabitants. R’ Boruch came to Eretz Yisrael after WWII and founded Ramat Vizhnitz in Haifa. In order to differentiate from his older brother the Chassidim refer to him and his sons as the Seret-Vizhnitzer Rebbe. Today, among the many eineklach of the original Seret dynasty the only DYNASTIES that remainbed are the Muzhai, Sulitz and Sasregen. I went and bought an 80GB Ipod at Costco yesterday. The price was actually 10 dollars more than what B&H charges, but the return policy at Costco is what made me get there. I got home and started to install it. The machine needs the latest version of ITunes, 7.0.2 in this case, and can be downloaded from Apple.com. I downloaded the ITunes Installer and proceeded to run the application. There was the first problem. After the ITunes application downloaded I got a message that Windows Installer was no good and thus would not install the ITunes program. So I sit there with this new machine not being able to use it. I went to another computer that had very little of the content I wanted to upload and there it worked just fine. So, at least I got it to work a bit. I then went back to the original computer and finally did what any clueless computer technician worth his salt would do: I googled the error message and found the solution. I then finished installing ITunes and started to add folders from My computer into the ITunes folder. The machine still doesn't run Vi Es Darf Tzu Zein. I get an error (-50) message that the IPod could not sync photo folders that I added. Also, the folder "Heichel Haneginah," the Tshureh from Heichel Menachem this year 19 Kislev, loaded onto the Ipod but "Cannot be found" on ITunes. So if I want to play the tunes from the computer I can't. It also takes forever to copy CD's onto ITunes, RealPlayer, I noticed, does a much quicker job at copying to My Library. Spending Hours loading this little Tcachke is not what I had in mind when I bought it, but I guess it goes with the territory. Der Ikker is that no longer must I be able to hold a Sefer on those long commutes to work, something not always possible. I can now just stick those little IBuds in my ears and listen. Time flies when you're in DVeykus Land. It sure doesn't look like a Rebbishe Hoif to me, more like a Parisian Boulevard actually. The bowler hat and yie on the gentleman in the foreground, and the umbrella etc. on the lady in the background. This was still 1910, imagine 20 years later! 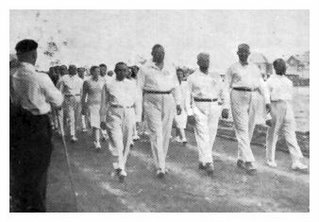 The Rizhiner kinder also left for the most part, with the Stefanester the exception to the rule, leaving to Vienna at WWI, never to return. Seems like the Vizhnitzer cousin conferred with them, or vice versa. Chernovitz is no surprise though.